Nettles and stomach lining are, in my estimation, the criminals and kept women of the culinary world, the browns and grays of Courbet, and I think this, the zeitgeist of the 1840’s, is still alive and well when we see these ingredients on fine dining menus, stinging nettles at the French Laundry and organ meat at 11 Madison Park. But this doesn’t surprise us at all, some of us even yawn and call it fashion. The elevation of low subjects on a grand scale is common place now, and that’s always the pyrrhic victory of any cultural revolution, it always seems to jump the shark. But it wasn’t always so, and still, it reminds me of that painting of a funeral, of Baudelaire’s criminals and kept women, of that pageant that is the ugly, the mundane, the quotidian, the weeds, the guts. And of how grateful I am that I live in a time when there’s an audience for the beauty in all of it. Life is far more interesting with weeds & guts, and we’re a lot better off learning to love them because they certainly aren’t going anywhere. I’ll offer, at best, a dispassionate apology for the art history lesson, both if it bored you or if you are fresher than me & found it awfully impoverished, but in another life modernism was a love of mine, and I ate, slept, and breathed Baudelaire along with my gin. It’s still dear to me, and I think about it often, even if I do spend more time thinking about pie crusts than the philosophical and socio-cultural implications of pigments. I don’t, however, apologize if you find my drawing parallels between nettle cakes and art history pretentious. Because that’s just a very boring way of looking at it! So I give you my tribute to Courbet’s Un enterrement à Ornans & Baudelaire’s On the Heroism of the Modern Life. 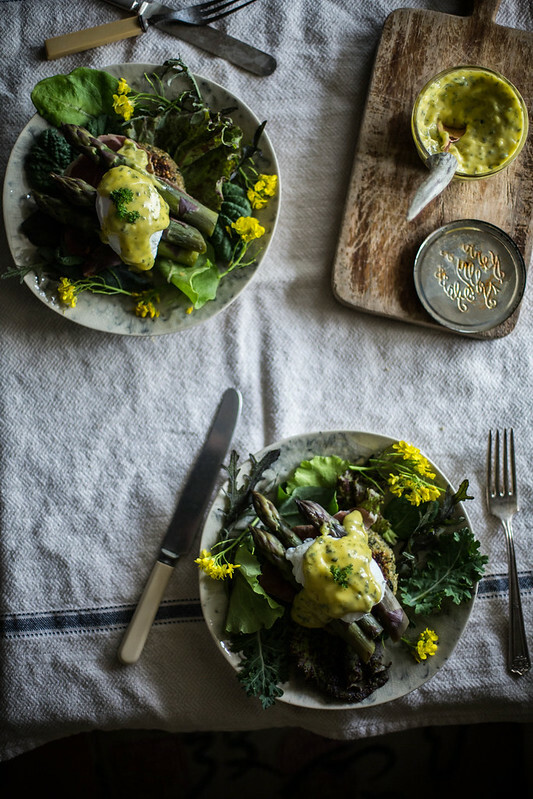 It’s an homage to the low as the high, a take on eggs Benedict, that posh hangover cure. 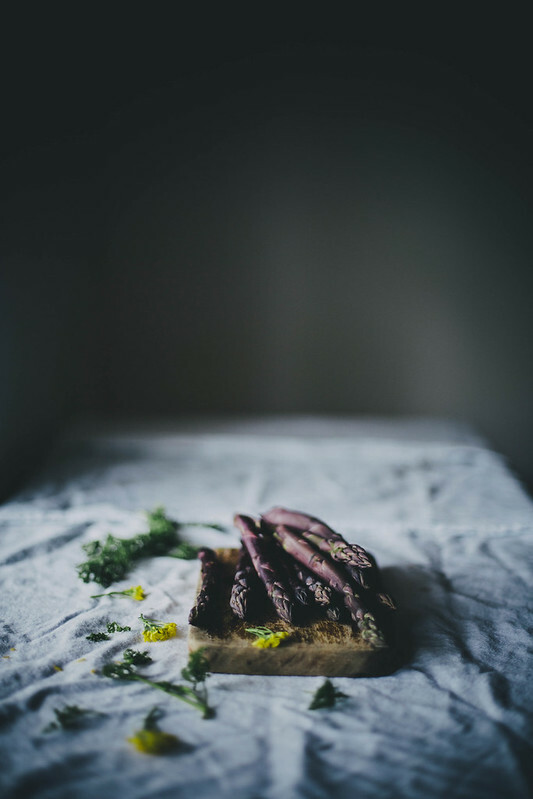 It features purple asparagus thicker than my thumbs, asparagus so prized I actually had a nightmare about not getting to the market in time to get my paws on them last week. And it, my most precious produce, alongside the hairy, stinging dead nettles. The ancient quinoa. The glorious egg. Miraculous mayonnaise. Dark and spicy greens. Wonderfully salty southern cured ham. And a few of my favorite mustard colored pak choi flowers because I will always and forever eat flowers at any opportunity. It makes me feel mythological or something. But all of that aside, this is really just me using what is there, what I have. Real food & real light. And that’s the point. A rich yet healthful take on a brunch classic, this meal would make an excellent dish for Mother’s day, and it can easily be made vegetarian by omitting the country ham or gluten free by omitting the bread crumbs. Bring the quinoa and water to a boil with a tsp of salt, reduce to a simmer, cover and cook for about 20-25 minutes until soft and fluffy. Cool to room temperature. Meanwhile steam the nettles until thoroughly wilted. Chop fine & squeeze dry with paper towels. 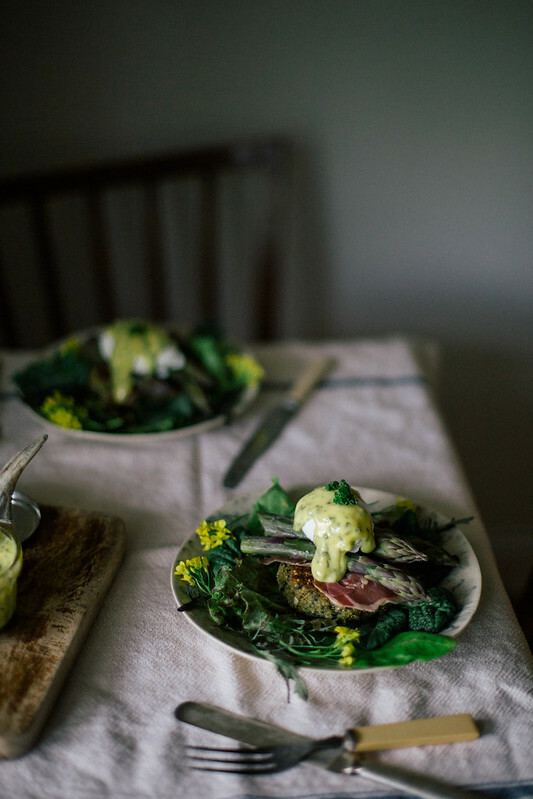 In a medium bowl mix the nettles and quinoa thoroughly. Add the olives, shallot, bread crumbs, lemon juice & zest, salt, pepper, and honey. Taste and adjust seasoning as needed. When it tastes to your liking add the two eggs. Mixture should hold together in patties. I usually have about two extra patties, which I like for breakfast the next day! If it doesn’t hold together, you can add an extra egg. 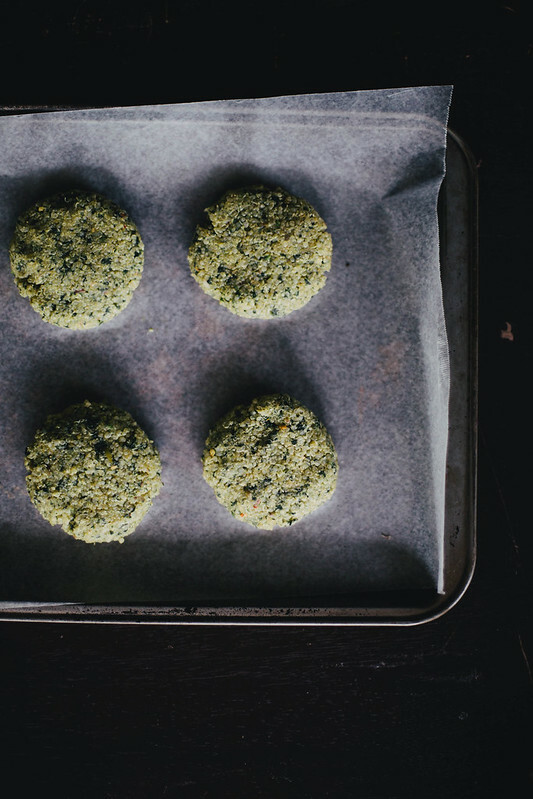 Form about 1/3 cup into patties about 1″ thick and place on a wax paper lined baking tray. Refrigerate covered for about 30 minutes to allow them to firm up. While they’re firming prepare the asparagus, ham, and aioli. *These would also make excellent vegetarian burgers. Place a medium bowl on a damp towel so it doesn’t move around on you. Whisk yolk with the garlic and salt past until pale. Slowly, drop by drop begin to whisk in the oil. When a stable emulsion forms, you can add the oil in a thin stream while whisking constantly. About halfway through adding the oil or if it gets too thick add the lemon juice. Continue adding oil, adjusting the consistency as you go with a little bit of water to prevent it from getting too thick. 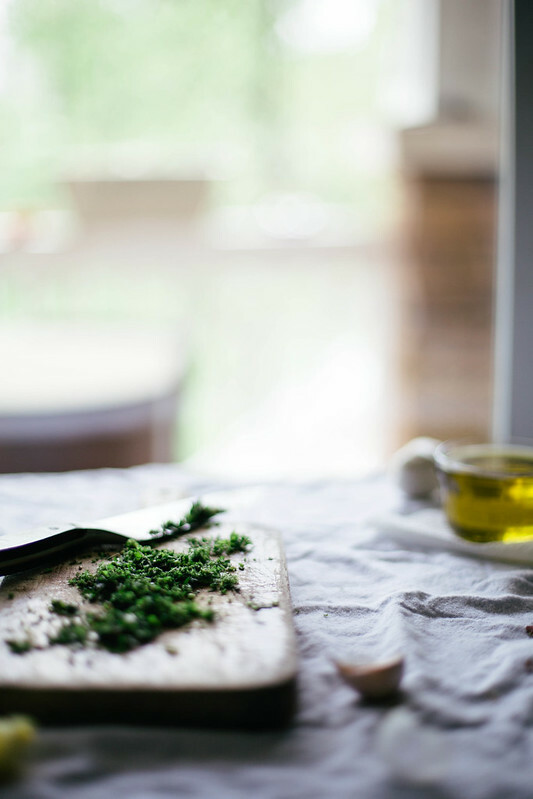 When done, stir in the herbs and adjust the seasoning with salt and lemon juice. I sometimes add a tiny pinch of sugar to round out the flavor, though not always, and I in no way make it sweet. Just the smallest bit. Steam until just tender. I like mine a little al dente. I do nothing but sprinkle with a little bit of salt. If your asparagus is fresh & in season it will need nothing more. Heat canola oil of medium high heat in a large frying pan. When hot add the cakes without crowding. Fry in batches if needed. Cook about 5-6 minutes per side on medium to medium low depending on your stove until they are cooked through and crispy brown on the outside. While they’re frying, poach your eggs. Bring a medium pot of water to a simmer. 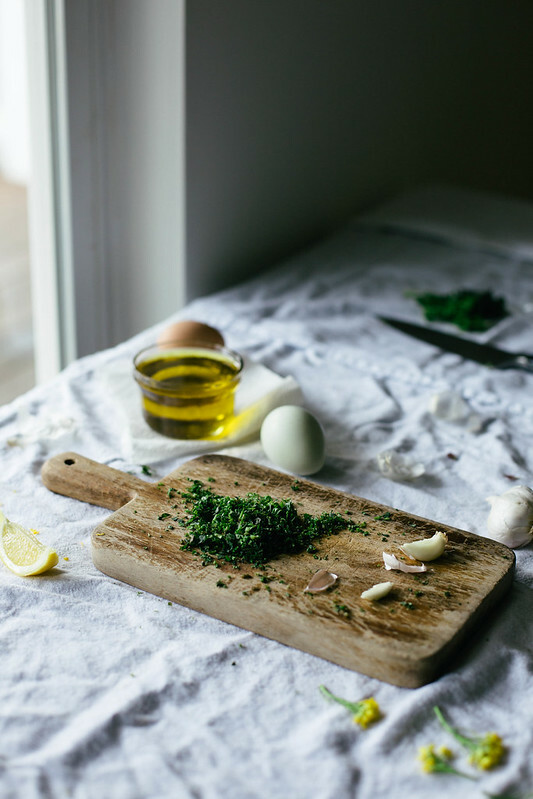 Add 1 tsp of vinegar if your eggs aren’t insanely fresh. Break your eggs into individual small dishes. I use a tea cup. Create a whirl pool in the center of the simmering pot of water by stirring and tip an egg into it. Poach for 3 minutes, until white is set but yolk is still runny. Repeat with remaining eggs. 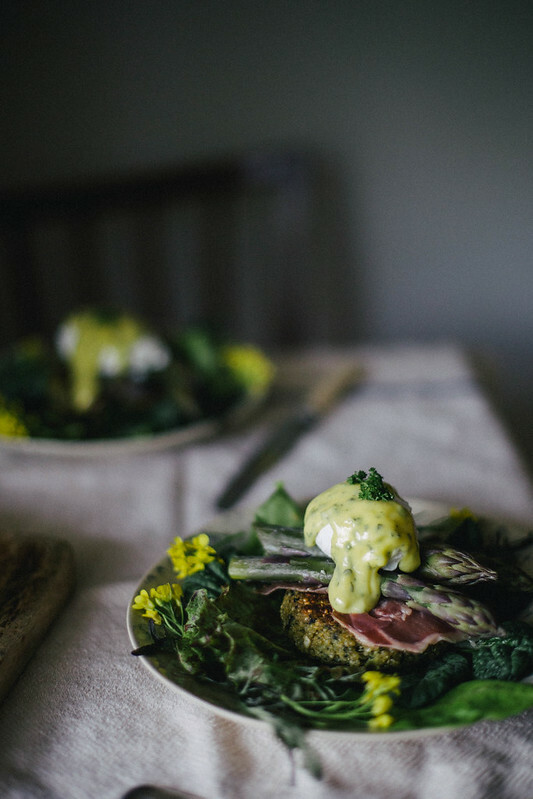 Place warm quinoa cake on a bed of greens, top with ham, asparagus, egg, and a generous dollop of aioli. Serve warm. 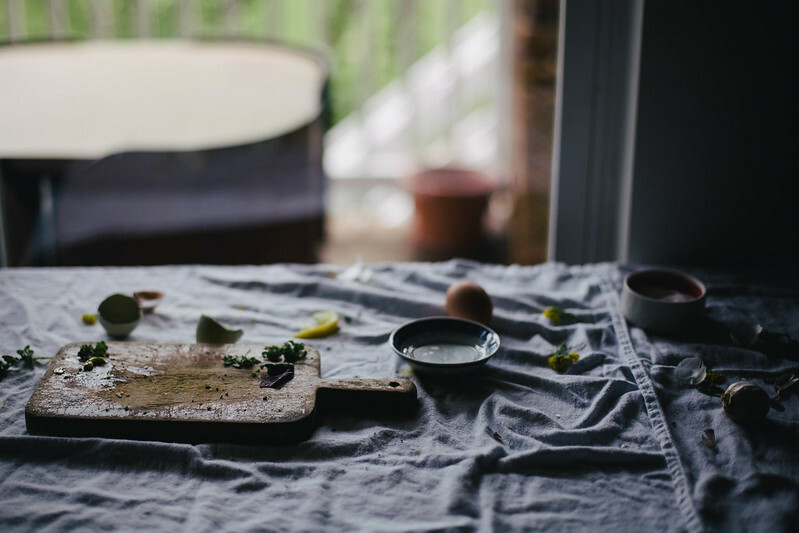 Everything in this post is beautiful and the way you write about more than food and recipes shows that food means more than food and recipes to you- which is why you’re able to create the beauty you create. Lucky us who found their way to this precious place. I loved the line “life is far more interesting with weeds & guts” – so very true! 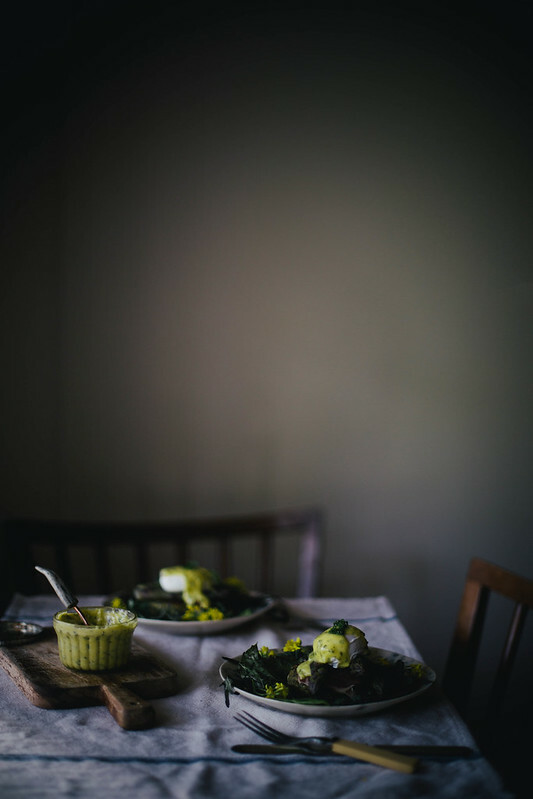 A beautiful dish and I love the contrast between dark and light in your photographs, so full of life. Love you images! Beautiful post. 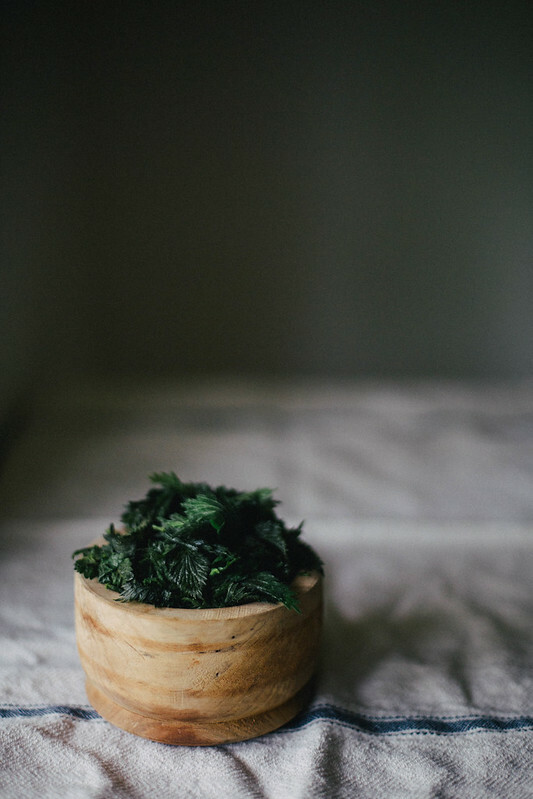 The stinging (or jaggy, as the wee ones here call them) nettles are every where now, along with ground elder and wild garlic–a few of my favorite wild greens. I’ll do some foraging tomorrow for a delicious brunch. I haven’t seen asparagus yet, but I can hardly wait any longer! 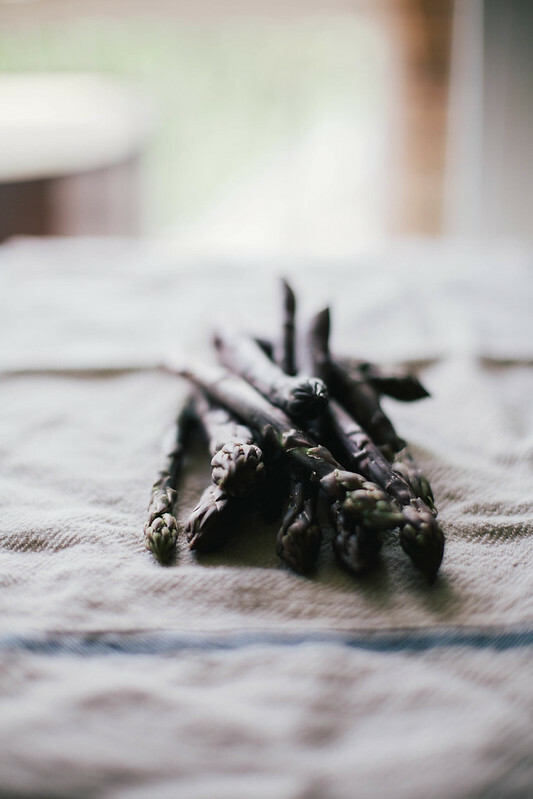 There’s (hardly) anything better than very fresh, local asparagus. Thank you for this. 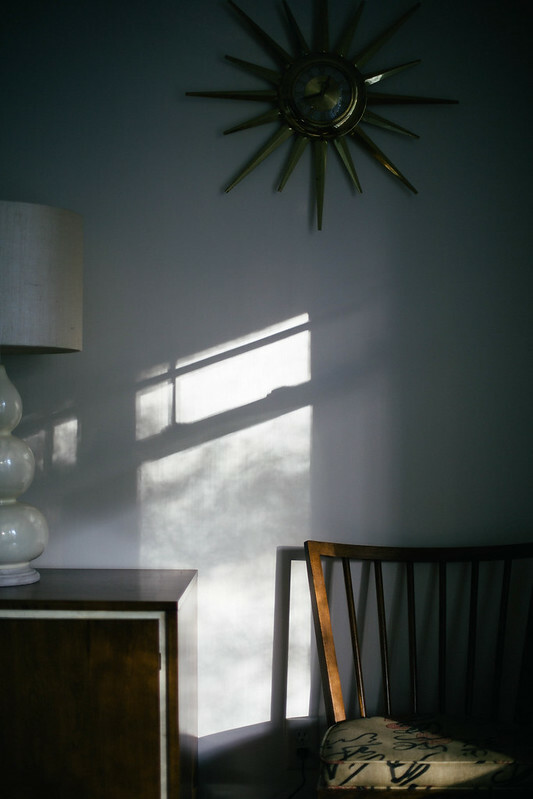 I love, love how you’ve achieved the perfect synthesis of high and low, elegance and earthiness in this very blog. 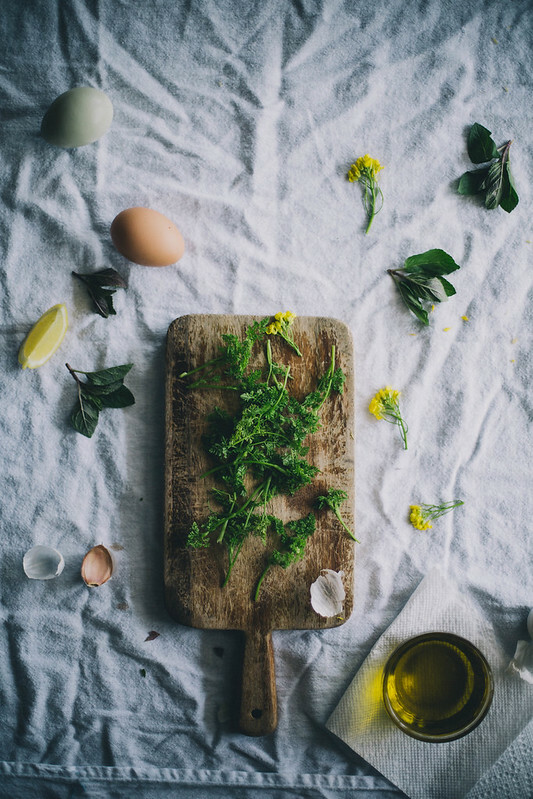 I believe in my heart-of-hearts that there is a deeper meaning to food, even that all of life is connected in some way. You always manage to make your food transcendent. Thank you. Your real food and real light are beautiful. This is going straight on my list of recipes to make. I love the flavour combos in the quinoa cakes. And your photography… beautiful. note: not gluten free unless you have special breadcrumbs! ah! i meant to edit it to say leave them out to make it gluten free, thank you so much! Love your writing; everything else was beautiful too. your photography is absolutely gorgeous Beth. 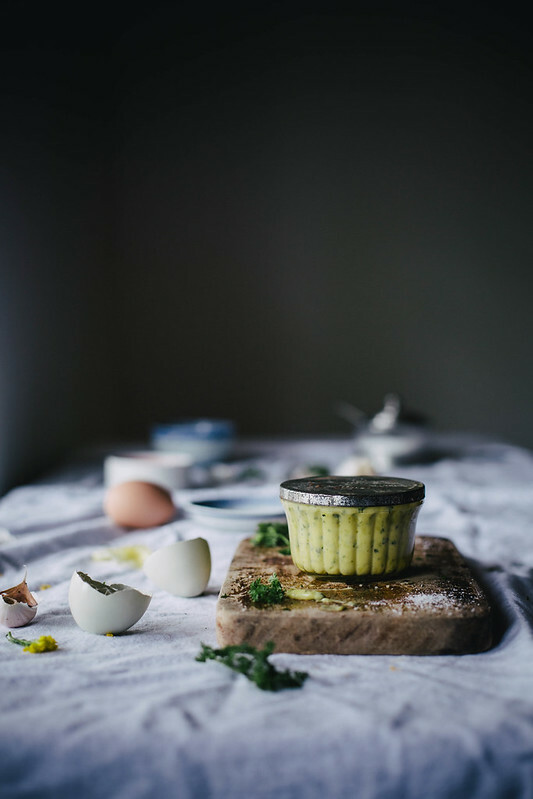 Rarely do I read a food blog that combines, text+photos+recipes as masterfully as you do. I love the comparison to “Un enterrement à Ornans”, Brilliant!!!!!!!!!!!!!!! This dish is stunning in its rusticity! Your photographs are lovely and have such an amazing quality of light to them. I love the relation of this dish to art history, too!